Vijaya Laxmi Chhabra has been named as the interim Director General of Doordarshan. The tenure of current DG, Mr Tripurari Sharan, comes to an end later this month. Ms Chhabra is the former Additional Director General (Programs) at All India Radio (AIR) and was set to retire in March. Ms Chhabra will continue in this position until a new DG is appointed. 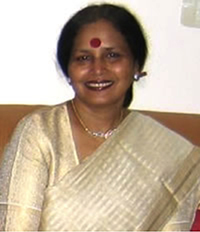 She has worked with both AIR and Doordarshan in senior management capacities for more than 33 years. During this period, she undertook several assignments such as creative content production in Hindi and English, channel marketing of AIR and Doordarshan, human resources, planning and organisational development. She specialised as a Features/Documentaries producer while working at All India Radio, Delhi and Mumbai.